Optical fiber transceiver is the data transmission network will be a device is missing, then what is the optical fiber transceiver, optical fiber transceiver is composed of optical fiber transceiver what, what role to play in the data communication process? 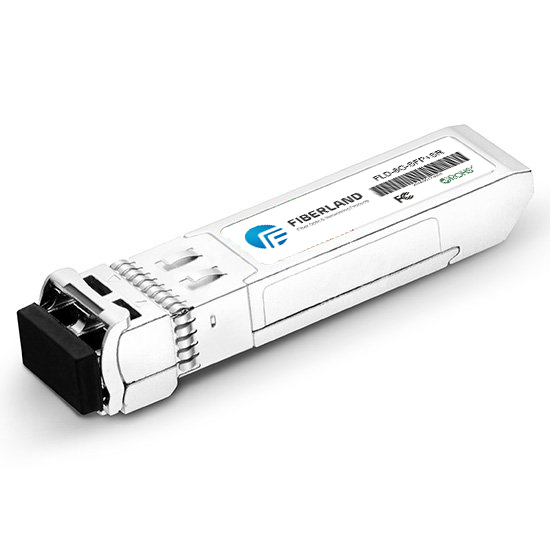 Optical fiber transceiver includes three basic modules: OEMC, optical signal interface (optical transceiver module) and signal interface (RJ45), if equipped with network management functions include network information processing unit. Optical fiber transceiver, optical signal is a twisted pair signal of short distance and long distance Ethernet transmission media conversion unit swap, in many places, also known as photoelectric converter (Fiber Converter). The products are generally used in Ethernet cable can not cover, must use fiber to extend the transmission distance of the actual network environment, the application and the access layer is usually located in the broadband metropolitan area network; at the same time to help the last mile fiber line connected to metropolitan area network and the outer network also played a huge role. In some of the larger enterprises, network construction of backbone fiber directly using the transmission medium and the transmission medium within the LAN is copper, how to realize the LAN fiber backbone network connected? This requires conversion between different ports, different lines, different fibers, and ensures the quality of the link. The optical fiber transceiver, the twisted pair signal and optical signal conversion, to ensure that the data packets in the network between two smooth transmission, at the same time it will limit the network transmission distance of 100 meters from the copper wire is extended to more than 100 km (SMF). What are the basic features of an optical transceiver? 1., the network protocol is completely transparent. 2. provide data transmission over ultra-low latency. 3. supports ultra wide operating temperature range. 4., a dedicated ASIC chip is used to realize data wire speed forwarding. Programmable ASIC brings many functions into one chip. It has the advantages of simple design, high reliability and low power consumption. It can make the device get higher performance and lower cost. 5., network management equipment can provide network diagnosis, upgrade, status reports, abnormal reporting and control functions, can provide a complete operation logs and alarm logs. 6. frame type equipment can provide the hot swap function, easy to maintain and continuously upgrade. 7. support complete transmission distance (0~120 km). 8. equipment uses 1+1 power supply design, supports ultra wide power supply voltage, realizes the power supply protection and the automatic switching. There are many kinds of optical fiber transceivers, and their types vary according to different classification methods. According to the required optical fiber can be divided into single fiber optical transceivers: sending and receiving data transmission on a single fiber; double fiber optical transceivers: sending and receiving data in a pair of optical fiber transmission. According to the work level / rate, we can divide into single 10M, 100M optical fiber transceiver, 10/100M adaptive optical fiber transceiver and 1000M optical fiber transceiver. According to the structure, it can be divided into desktop (independent) optical transceiver and frame type fiber transceiver. Desktop type optical fiber transceiver suitable for single users, such as the single switch in the corridor. Frame type (Modular) optical transceiver is suitable for multiple users together, such as the center area of the room must meet all switches within the district on the. Network management can be divided into network management type optical fiber transceiver and non network management type optical fiber transceiver. According to the type of power supply can be divided into built-in power fiber optic transceiver: built-in switching power supply for the telecom class power supply, external power supply fiber optic transceiver: external transformer power supply, more used in civilian equipment. The former has the advantage of being able to support a wide power supply voltage, realize voltage regulator, filter and power protection equipment, external fault caused by mechanical contact; the latter has the advantage of small volume and cheap equipment. According to the work mode, full duplex mode (full duplex) is that when the sending and receiving data are transmitted from the transmission line shunt, two different communication, both sides can send and receive operations at the same time, this is a full duplex transmission, switching, full duplex mode without the direction and therefore did not produce the switching time delay; half duplex mode (half duplex) refers to the use of the same transmission line as received and sent, although the data can be transmitted in two directions, but both sides of communication cannot simultaneously send and receive data, send this is a half duplex system. When half duplex mode is adopted, the transmitter and receiver of each end of the communication system are switched to the communication line through the receive / output switch, so as to make the direction switching, therefore, the time delay can be generated. These are some of my optical transceiver basic knowledge, only after we have a basic understanding of the application of optical fiber transceiver in time will have to grasp, don't give in the construction of trouble.